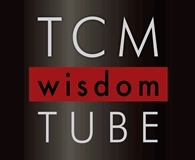 If you enjoy our free 1-hour LotusWEBINAR Weekdays, you'll love them even more on TCM Wisdom Tube! For a limited time, Lotus is making all of our 1-hour Webinar Weekdays recordings FREE! Just log in to your eLotus account. If you don't have an account yet, sign up for your free account and start watching the recordings immediately.